Jackson County is a county located in the U.S. state of Michigan. Its population was 160,248 as of the 2010 Census. The county seat is Jackson. The county was set off in 1829 and organized in 1832. It is named for U.S. President Andrew Jackson and considered to be one of Michigan's "Cabinet counties", named for members of Jackson's Cabinet. Timothy Lee Walberg is an American politician and former pastor. A Republican, he has served as the U.S. Representative for Michigan's 7th congressional district since 2011. He previously represented the district from 2007-09. Churches of Christ are autonomous Christian congregations associated with one another through distinct beliefs and practices. Represented chiefly in the United States and one of several branches to develop out of the American Restoration Movement, they claim biblical precedent for their doctrine and practice and trace their heritage back to the early Christian church as described in the New Testament. Lenawee Christian School is a private Christian school located at 111 Wolf Creek Highway in Adrian, Michigan. It serves 585 students in pre-kindergarten through 12th grade. The student-teacher ratio of the school was 13.18 for the 2009-2010 school year. The current Head of School is Tom Durbin. As State Representative Baxter had 14 bills signed into law. In the summer of 2005 he published a controversial article in the Wall Street Journal titled "How to Skin a Wolverine." The article caught the ire of then Governor Jennifer Granholm who labeled his views "treasonous." During both years in the Michigan House he was rated by Inside Michigan Politics as "The Most Conservative Freshman" in the Michigan Legislature, rated second Most Conservative in the entire State in 2006. 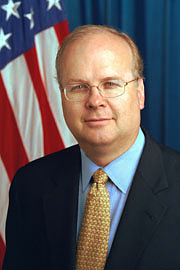 Karl Christian Rove is an American Republican political consultant and policy advisor. He was Senior Advisor and Deputy Chief of Staff during the George W. Bush administration until his resignation on August 31, 2007. He has also headed the Office of Political Affairs, the Office of Public Liaison, and the White House Office of Strategic Initiatives. Since leaving the White House, Rove has worked as a political analyst and contributor for Fox News, Newsweek and The Wall Street Journal. Lenawee County ("LENN-a-way") is a county located in the U.S. state of Michigan. As of the 2010 United States Census, the population was 99,892. The county seat is Adrian. The county was created in 1822, from territory partitioned out of Morgan County. Its governing structure was organized in 1826. Fernando Cortez Beaman was a teacher, lawyer and politician from the U.S. state of Michigan during and after the American Civil War. He served as a member of the United States House of Representatives and as mayor of Adrian, Michigan. John J. H. "Joe" Schwarz, M.D., is an independent politician from Michigan, who was elected to the United States House of Representatives in 2004 as a moderate Republican. He represented Michigan's 7th congressional district from January 2005 to January 2007. Charles Miller Croswell was the 17th Governor of the US state of Michigan from 1877 to 1881. Michigan's 7th congressional district is a United States congressional district in Southern Michigan. From 2004 to 2013 it consisted of all of Branch, Eaton, Hillsdale, Jackson, and Lenawee counties, and included most of Calhoun and a large portion of western and northern Washtenaw counties. The district shifted east in the 2012 redistricting, and now includes the western suburbs of Ann Arbor and Monroe County. Clark E. Bisbee is an American politician and businessman from Jackson, Michigan. He is the owner of Bisbee Travel, a local travel agency. Andrew "Andy" Dillon is a Democratic Party politician from the U.S. state of Michigan. He was appointed by Governor Rick Snyder, a Republican, to be the state's treasurer. Before serving in the Cabinet, Dillon was speaker of the Michigan House of Representatives. Mark Hamilton Schauer is an American politician, member of the Democratic Party and former U.S. Representative for Michigan's 7th congressional district, serving from 2009 to 2011. The 2008 congressional elections in Michigan were held on November 4, 2008 to determine who would represent the state of Michigan in the United States House of Representatives. Michigan had fifteen seats in the House, apportioned according to the 2000 United States Census. Representatives are elected for two-year terms; those elected will serve in the 111th Congress from January 4, 2009 until January 3, 2011. The election coincided with the 2008 U.S. presidential election. Pam Byrnes is a former Democratic State Representative in the Michigan State House of Representatives, representing the 52nd District, which covers parts of Washtenaw County. On July 18, 2013, Pam Byrnes announced that she will run as a Democratic candidate to challenge Republican Representative Tim Walberg in Michigan's 7th congressional district. 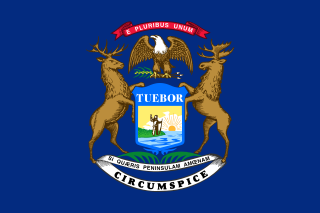 The Michigan gubernatorial election of 2010 was held on November 2, 2010. Incumbent Democratic Governor Jennifer Granholm was prohibited by the state's Constitution from seeking a third term. This resulted in a large pool of candidates which was whittled down, when the May 11 filing deadline passed, to two Democrats and five Republicans. Both the Cook Political Report and the non-partisan Rothenberg Political Report rated the election as leaning Republican. Elections were held on November 2, 2010, to determine Michigan's 15 members of the United States House of Representatives. Representatives were elected for two-year terms to serve in the 112th United States Congress from January 3, 2011 until January 3, 2013. Primary elections were held on August 3, 2010. Kevin L. Boyce is an American politician of the Democratic Party. He currently serves as a Franklin County Commissioner. Formerly he was a member of the Ohio House of Representatives, serving the 25th District from 2012 to 2016, a member of Columbus City Council, and was Ohio State Treasurer from 2009 to 2010. Michael "Huck" Huckleberry is a politician, restaurateur, and small business owner from Greenville, Michigan. In 2008, he was elected as a Democrat to the Michigan State House of Representatives. He represented the 70th House District, which includes all of Montcalm County and a portion of North-west Ionia County including the city of Ionia. In 2006 he unsuccessfully challenged incumbent Republican Congressman Dave Camp, who represents Michigan's 4th congressional district, located in central Michigan. In 2010 he was defeated by Rick Outman, 55%-43%. The 2012 United States House of Representatives elections in Michigan was held on Tuesday, November 6, 2012, to elect the 14 U.S. Representatives from the state of Michigan, a decrease of one following the 2010 United States Census. The elections coincided with the elections of other federal and state offices, including a quadrennial presidential election and an election to the U.S. Senate. Primary elections were held on August 7, 2012. The filing deadling for candidates to file to run in the primary was May 15. Except for two seats, all the incumbents sought re-election. The open seats were the 5th and 11th Congressional Districts. Due to the loss of one seat from the 2010 Census, two congressmen ran against each other. Despite Democrats winning more than 240,000 more votes for U.S. House districts statewide, Republicans won nine of 14 seats and Michiganders tied a state record by electing the lowest rate of U.S. Representatives by a major party whilst simultaneously casting its electoral votes for that party's presidential nominee. The 2014 Michigan House of Representatives elections were held on November 4, 2014, with partisan primaries to select the parties' nominees in the various districts on August 5, 2014. Members elected at the 2014 election will serve in the 98th Michigan Legislature which convenes on January 7, 2015. Gretchen Demarest Driskell is an American politician, accountant, and real estate agent from the state of Michigan. A member of the Democratic Party, she served in the Michigan House of Representatives, representing the 52nd District. Prior to her time in the Michigan Legislature, she was the first female mayor of Saline, Michigan, a position which she held for fourteen years. The 2016 United States House of Representatives elections in Michigan were held on November 8, 2016, to elect the 14 U.S. Representatives from the state of Michigan, one from each of the state's 14 congressional districts. The elections coincided with the 2016 U.S. presidential election, as well as other elections to the House of Representatives, elections to the United States Senate in 33 other states and various state and local elections. The deadline for candidates to file for the August 2 primary election was April 19. ↑ Official Congressional Directory, 2007-2008: 110th Congress. Government Printing Office. 2007. p. 134. ISBN 978-0-16-078879-6. ↑ "State Representative Rick Baxter R–64th Representative District" (PDF). Michigan Manual 2005-2006. Legislative Council, State of Michigan: 170. 2006. Retrieved November 8, 2010. ↑ "Alumni Focus Rick Baxter '97". The Signal. Lenawee Christian School. Fall 2003. p. 8. Retrieved November 8, 2010. ↑ "How to Skin a Wolverine". The Wall Street Journal. The Wall Street Journal. July 7, 2005. p. 8. Retrieved April 8, 2014.